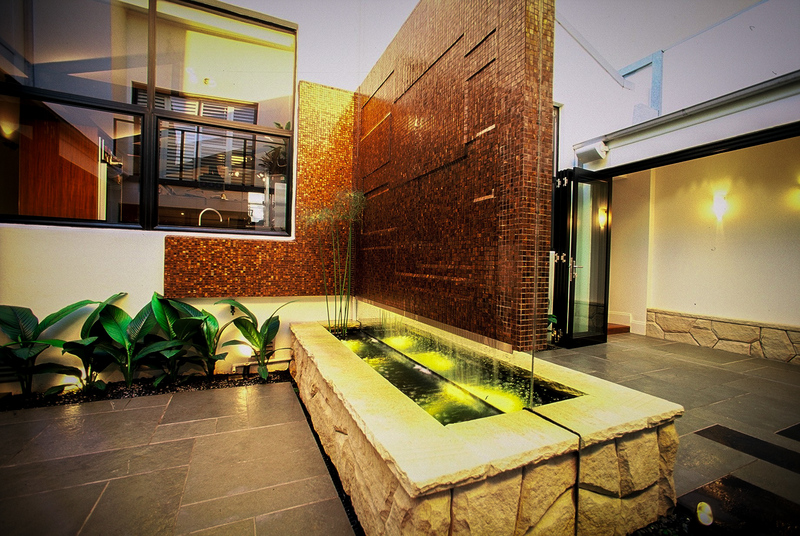 The Alexandria courtyard was one of Peter’s first projects after launching Osmosis in 2003. 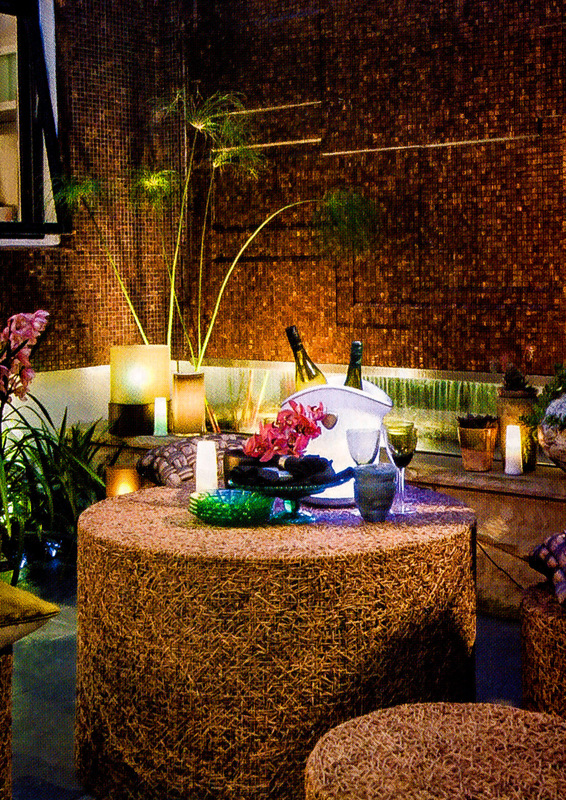 The tight challenging space was part of a larger renovation for the whole terrace that was previously a warehouse. Initial site analysis revealed poor natural light, limited access, confined areas for construction, underground services and as always a limited budget. Creating a cohesive, practical and calming space was certainly going to be a challenge. The brief was to create a light and airy multipurpose courtyard that needed to be practical and open for a variety of uses such as relaxing, dining, entertaining, outdoor activities and little DIY projects, basically a clear functional surface. The multifunction space should also be highly aesthetic and attractive when viewed from anywhere in the converted warehouse with a definite “wow factor”… “Oh and some kind of feature wall”… ..”preferably with a water”. Not impossible, a coat of paint, a wall hanging and a few potted plants would improve what was existing, but to do something special when most of your canvas has to be kept clear of any obstructions, features or sculptural elements was going to be tricky. 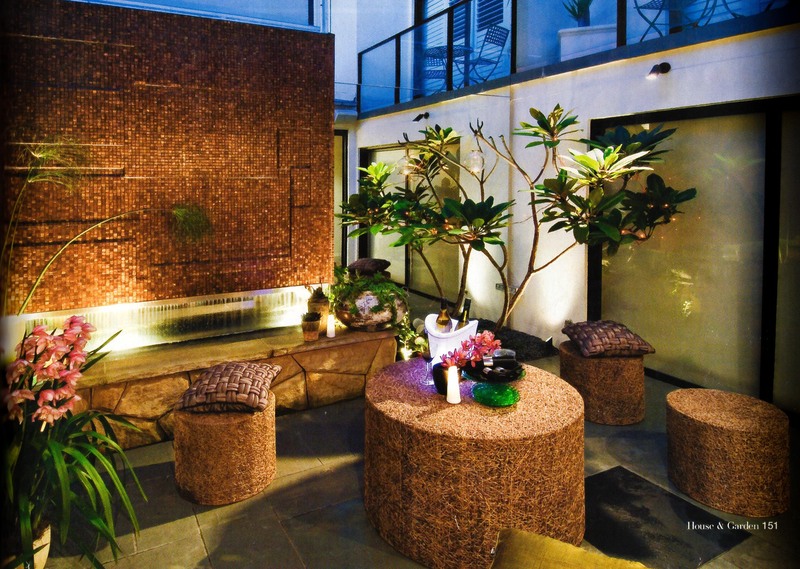 Drawing on traditional Japanese “tsuboniwa” courtyards for inspiration, Peter introduced outdoor elements such as a stepping stone path set into the paving and stonework to the surrounding indoor walls to link the space and make it feel bigger. Another technique used was to extend the interior kitchen wall material out into the courtyard, with an early draft of the design incorporating a timber feature wall matching the kitchen. 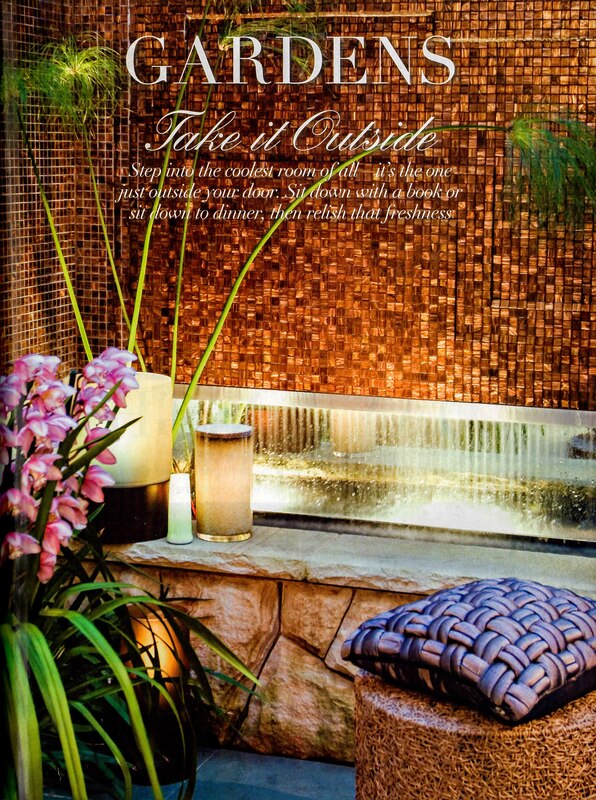 The bronze metallic Bisazza mosaic was chosen to give a little more sparkle, and interest to the space, particularly when up-lit with water spilling over it. Through the rest of the warehouse conversion the key underlining driver was to make the spaces feel light and airy, open and fresh, given how little natural light the terrace has. Lots of whites, neutrals and charcoals were used throughout the living areas and the courtyard was designed to be an integrated component of the entire build. One of the last key elements that is both subtle and incredibly effective, is the full height boundary wall mirror that gives the illusion of the courtyard being double the size as well as introducing far more light. It is impressive to experience in person as it totally feels like two large open space’s separated by a feature wall/screen. The space is so convincing that on a number of occasions dogs and toddlers have followed the stepping stone path and ran straight into the wall not realising it’s a mirror. From what is on plan a deceptively straightforward and subtle concept, it has produced a fresh and inviting space that is both contemporary and warm, and has aged incredibly well over more than a decade.